Special thanks to Paul Tremblay for recommending this novel to me. It is always great to find new authors with works you can dive straight into. 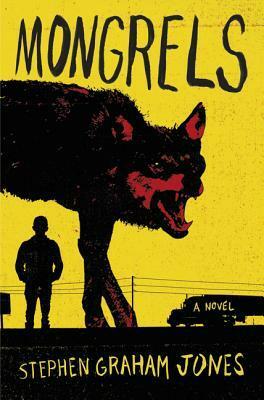 Mongrels tells the story of a young boy who lives on the outskirts of society with his aunt and uncle. They are unwanted, considered menaces to society and are completely misunderstood. They are mixedblood. Not completely human and not completely wolf. The young boy, whom we never come to find out a name except for changes in “occupation”, has a decision to arrive at as we continue through the novel: do I continue on the path of my aunt and uncle or do I live in a society that shuns my family? As the family moves from city to city, job to job and school to school, more and more stories are being concocted and told. Close shaves with the law, wolves in sheep clothing and a boy trying to find himself and learn the true nature of the family before him. The book is raw, sometimes humorous, bloody and a perfect addition to the werewolf lore. It is hard to review this novel without giving anything away. The characters are real, the story is fascinating and the fresh take on werewolves is fantastic. I also enjoyed the alternation between past and present as each chapter felt like a new story. Stephen Graham Jones will definitely be on my TBR list from now on.